Renting A Toyota Van In Lahore Made So Easy! Haririi is the one stop address for all your car rental or hiring needs. We offer you the most comfortable and professional van rental services at the most reasonable and cheap rates. 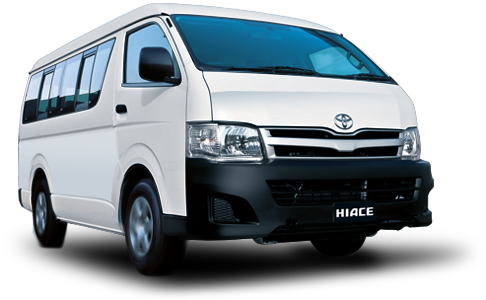 If you are interested in renting a Toyota Van in Lahore, then you can do so easily by contacting us. Toyota Van is ideal for travel when you are with a group of 8-10 people. 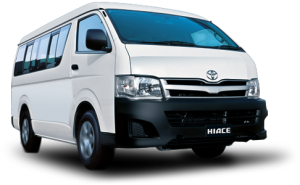 Some of the facilities that you will be able to enjoy by renting a Toyota Van in Lahore include air conditioning, clean interiors, radio cassette player, power windows, comfortable seating and fully washes exteriors. Our services are extremely reliable, trustworthy and can be easily availed. If you are looking for a luxury vehicle or a budget rental car, Haririi is the perfect rental service provider for all your needs. So hire your preferred vehicle now!